U.S. documents for international use typically require embassy legalizations for non-Hague countries. The embassy legalization process is a multi-step process. 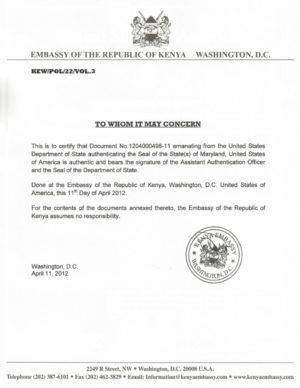 It involves coordinating certifications from various county, state, federal agencies and/or foreign embassy. This process can be time-consuming and difficult. Atlanta Apostille works with all embassies and consulates in the U.S. to validate documents for international use. 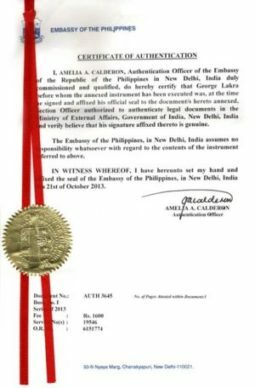 We evaluate documents for original signatures, proper formatting, and stamp prints and seals to support the validity of the paperwork for submission to these foreign agencies. Additionally, our team of professionals will attach the correct affidavits, complete the right applications to register your documents, and submit the documents to the proper agencies for quick processing. An embassy legalization certificate is used for certifying documents for countries not part of the Hague Convention. These countries do not recognize the Apostille certifications. Listed below are the countries that do not participate in the Hague Apostille Convention. As a result, an Embassy Legalization Certification form is necessary for foreign use. If you don’t see your document on this list, please contact us. If you have any questions, feel free to contact us 24/7 or go to our order form to obtain your embassy legalization certificate today!